CBD Medi Haze is a high-CBD sativa-dominant medicinal marijuana strain. It is a hybrid bred by first crossing a Super Silver Haze with Neville's Haze and then adding CBD-enrichment courtesy of CBD Crew's own high-CBD parent strains. Indoors it will finish flowering at 9 - 10 weeks or thereabouts yielding between 450 - 550 gr/m2. When grown outdoors in northern latitudes CBD Medi Haze will be ready in the month of October. The buds pack on a lot of weight towards the end of flowering so growers be careful not to chop your crop too soon. Flavours are a combination of pine, menthol and spice. It is expected that CBD Medi Haze will be a very good strain for medicinal usage but as yet we have no specific recommendations. 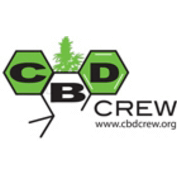 CBD Crew was formed in 2009 by Shantibaba of Mr. Nice Seeds and Jaime of Resin Seeds, after the latter’s creation of Cannatonic, a 1:1 THC:CBD strain released under the Resin brand. The success and popularity of the Cannatonic strain attracted the interest of Shantibaba and so a partnership between the two legendary breeders was formed. Since its formation, CBD Crew have focused their efforts on achieving a 1:1 ratio of THC:CBD in all of their strains. CBD Crew believe the advantageous properties of Cannabiodol are valuable, from prohibiting cancer cell growth, to reducing convulsions and anxiety. Their expansive seed collection of CBD enriched strains enable people with health issues to securely cultivate their own medication at home, safe in the knowledge that the ratio of cannabinoids is beneficial for their ailment. The success of CBD Crew has seen the seedbank acquire plenty of high profile supporters including renowned author Jorge Cervantes and the late Howard Marks. In recent times, the popularity of CBD Crew has grown after a number of research studies indicated the medical validity of the cannabinoid. Each strain in the seedbanks’ collection can help with a variety of specific ailments.